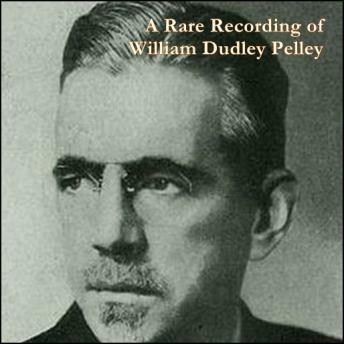 William Dudley Pelley (March 12, 1890-July 1, 1965) was a journalist, publisher, novelist, Hollywood screenwriter, spiritualist, and the founder of the Silver Legion of America (Silver Shirts). Pelley ran for President of the United States in 1936 as the Christian Party candidate. He was indicted twice for sedition and was sentenced to 15 years imprisonment. Pelley was paroled in 1950 from Federal Prison in Terra Haute, Indiana. After his release, he returned to Noblesville, Ind. and began publishing metaphysical magazines and books avoiding political topics. He spent his time developing Liberation doctrine into a full-blown religion known as Soulcraft.